Sofia Coppola emerged from the shadow of her family name in 1999 when her directorial debut The Virgin Suicides—an adaptation of Jeffrey Eugenides’ novel—hit screens. From the beginning, Coppola’s films have melded scene-perfect rock music with evocative visuals to explore the inner lives of her (usually) female main characters. Coppola’s sixth film, The Beguiled, came out last month, and while the movie has faced some controversy since its release, what is not controversial is that the director has an eye for great shots and an ear for great tunes. 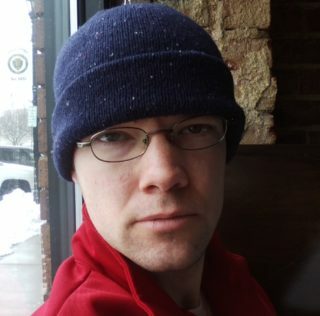 Image courtesy of Jolly Pumpkin Brewery. The Lisbon sisters in Coppola’s debut film are trapped in a cloistered household by well-meaning but clueless and repressive parents. They are objects of wonder for the neighborhood boys, and while they have moments of bliss, they are wilting inside their suburban prison. What they need is freedom and permission to run wild. 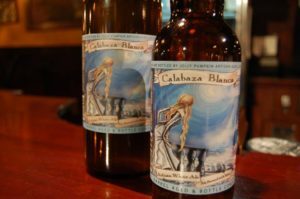 Jolly Pumpkin’s Calabaza Blanca is a wild take on Belgian witbier. It’s lightly spiced, but tart from the addition of wild yeasts. 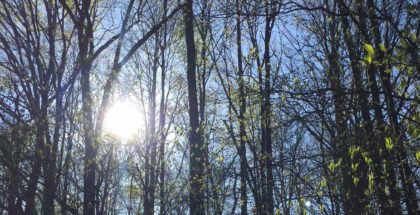 It doesn’t reinvent the style completely, it’s just been allowed to breathe. If only the Lisbon sisters had been granted the same. Image courtesy of Jackie O’s Brewery. In Coppola’s gorgeous sophomore film about two Americans dealing with insomnia, loneliness, and marriage crises in a Tokyo luxury hotel, the director evoked the hazy, disorienting euphoria of finding yourself still awake at dawn when everyone else is just waking up. She used dreamy visuals and an even dreamier shoegaze-ridden soundtrack—including The Jesus and Mary Chain’s Just Like Honey—to evoke a feeling of drowsy displacement and existential ennui. 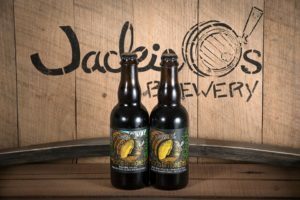 Jackie O’s Wood Ya Honey is a wheat wine brewed with local honey and aged in bourbon barrels, soft and fuzzy like those mornings, but big and heavy enough you might feel a little disoriented too. Image courtesy of Devil’s Canyon Brewing. While a beer referencing the indulgent (and completely historically inaccurate) “Let them eat cake!” line Marie Antoinette is falsely purported to have uttered while her citizens were starving—Rogue Hazelutely Choctabulous, for example—might be appropriate, I’m going to suggest something with French refinement and subtle beauty to go with Coppola’s oft-misunderstood third film. 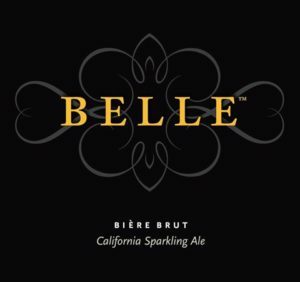 Devil’s Canyon Belle Biere Brut is brewed with champagne yeast, and yields celebratory flavors of apricot and apple along with an assertive effervescence. 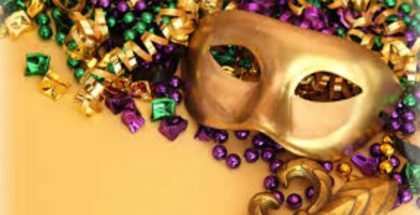 If only Marie’s reign had been this pleasant, and finished as smoothly. Image courtesy of Short’s Brewing. In one of Coppola’s most personal films, a bored Hollywood action star living in suspended adolescence finds himself living as a full-time dad after his teenage daughter’s mom drops her off and tells him she needs some time to get her life together. He takes his daughter with him to Italy for a press junket, and orders every flavor of gelato from their hotel’s room service when the two are unable to sleep in the middle of the night. Neither of them really care for the pistachio version; it’s an acquired taste. 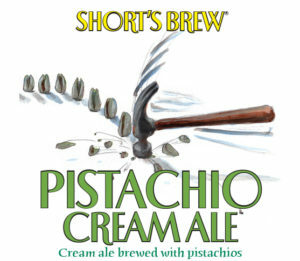 The Strokes’ I’ll Try Anything Once is the film’s unofficial theme song, so why not try Short’s Pistachio Cream Ale at least once, as strange as it may sound? Simple and sweet but oddly charming just like this movie, you might just find it growing on you. 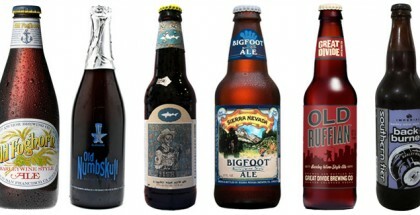 Image Courtesy of Firestone Walker Brewing. The members of the “Bling Ring,” a group of celebrity-obsessed L.A. teenagers who broke into the homes of their famous idols in the late Aughts and stole hundreds of thousands of dollars of designer clothes and jewelry might not have had much use for rules, but in Coppola’s 2013 film about the group, they sure did have style. 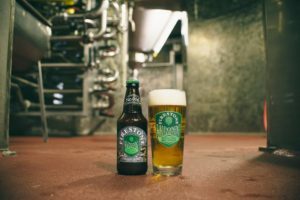 Firestone Walker Brewing claims their Luponic Distortion experimental IPA series “breaks the rules with each new release,” changing hops faster than the Bling Ring changed expensive shoes. And if you loved the iconic guitar opening to Sleigh Bells’ Crown on the Ground used so effectively in Coppola’s film, you know how beautiful distortion can be. Image courtesy of Scratch Brewing. The quietest (for most of its running time) of Coppola’s films calls for a beer with a similar level of calm reserve, and one that similarly rewards patience. 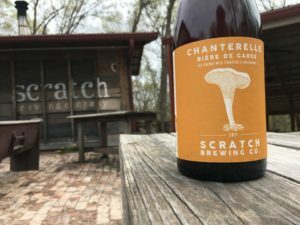 Scratch Brewing’s Chanterelle Biere de Garde uses chanterelle mushrooms foraged from the brewery’s southern Illinois property, and has a complex but subtle flavor profile that balances earthiness with elegance, all delivered with an incredibly creamy mouthfeel. Without giving any spoilers for Coppola’s most recent film, which is still in theaters, it’s safe to say foraged mushrooms are put to better use in Scratch’s French farmhouse ale than in The Beguiled. 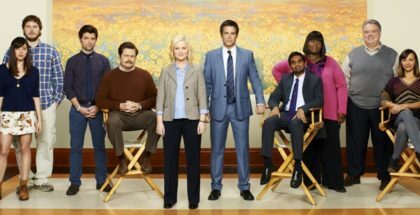 Ultimate 6er | Parks & Recreation Part 2 June 1, 2016 | K.C. Sofia Coppola is fantastic. Lost in Translation is one of the best and funniest films I’ve ever seen.